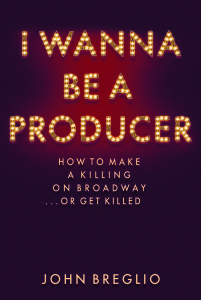 John Breglio’s I WANNA BE A PRODUCER launches this week! This week, Bloomberg TV and Bloomberg Radio interviewed John about what it takes to be a Broadway producer. The New York Times spoke to him about the upcoming Tony Awards. Michael Riedel raves about his book in the New York Post. Backstage Magazine talks to John about important lessons for the Broadway producer. Center on the Aisle recommends I WANNA BE A PRODUCER to their legions of readers. And Book Pleasures interviews John and discusses how he became interested in entertainment law. This is only the beginning! Stay tuned for further media and event updates as they unfold.